There are several SEO web design best practices that should be utilized by a good Dallas web design company. With so many factors consider, you want to ensure you hire a company that knows their SEO. A main keyword that the content is designed to rank highly for in the search engines, as well as several related keywords sprinkled throughout the content. This is one of the most important SEO web design tips out there, since your site should target keywords with low competition and high search volume as much as possible. A title tag, no more than 72 characters, containing the main keyword that the content is targeting. This title should be as eye-catching as possible, because this will increase the click-through rate from the search results page to your website. It should be prominent at the top of your content and the keyword should also be part of the URL of that page. A meta description tag, no more than 155 characters, that is unique and interests the reader. This will become the blurb that search engines list after the title of your web page, so it is important for this description to make the reader want to see more. Redirects that prevent the same content from being presented on multiple URL’s of your site. This is called canonicalization, and is used in reputable Search Engine Optimization and development. A robots.txt file that controls which pages are indexed by the search engines. This allows you to exclude pages that are not meant to be found in the search results. A Google authorship indicator, telling Google that your content is produced by a trusted author. 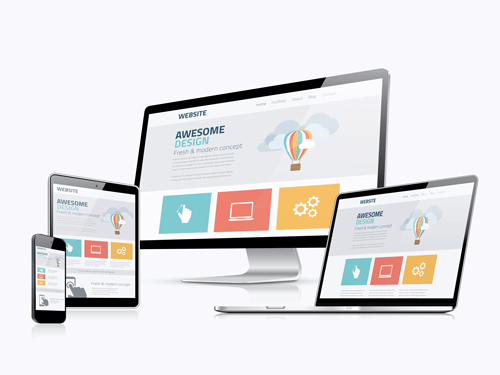 A mobile version of your website, so that your site loads quickly and is easy to use for visitors who are using their smart phones or other mobile devices. Ensure that you tag your images with alt image tags so that the search engines know that your images is about. If your a local business, consider local search optimization strategies as part of your tagging strategy. Ensure that the website loads fast or it will get a penalty for slow load times. Make sure you utilize 100% unique content and avoid duplicate content from other sites. These are all factors that are relatively simple to implement, but are often overlooked by web design companies that are not familiar with search engine optimization. Because of this, it is a good idea to ask for sample websites from an SEO web design company and make sure that these elements are present on their websites. If they are, it is a good sign that the web design company knows what goes into strong on-page search engine optimization and can help you achieve high rankings. SEO Cherry is a Digital Marketing Agency providing honest, transparent internet marketing services to our clients. It is our goal to provide excellent search engine rankings as well as provide amazing customer service. on.